Not a massive departure from the tried and true ‘light blue with white stripes’ template, but pretty darn slinky none-the-less. Other than the number, which seems to cramped in.the kit is nice. The home one would be perfect if it had a round collar. 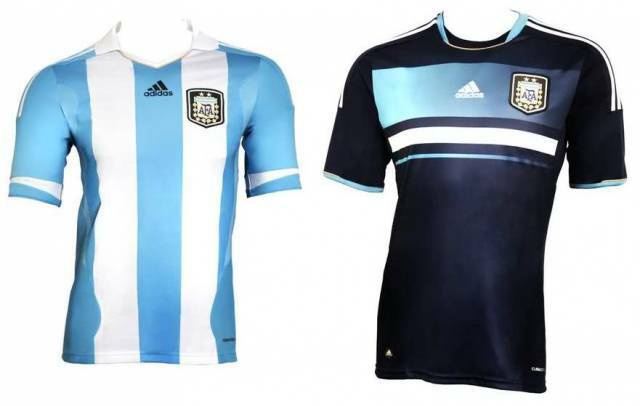 The away one looks a bit like a training shirt. The away kit reminds me of the France home kit, pre-world cup of course. 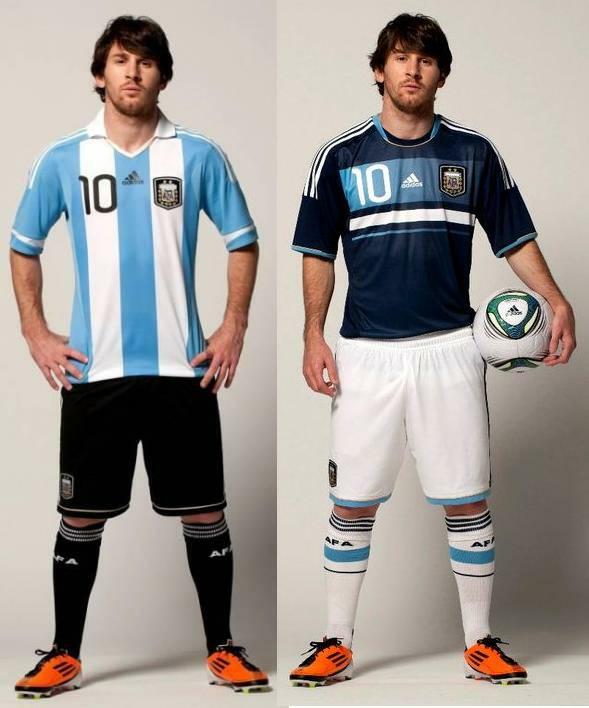 The second kit is nice but better if the three stripes were Argentinian colours and not just white. The numbers are so damn standard. they could bring back 1986’s numbers. check them out. Other than that, I agree, the away kit is beautiful dunno why. Now he’s the best player in the world and that kid is morbidly obese and I’ve taken his spot. Funny how great effort can make up for being the shortest player on the pitch. Hahaha lmao theredflag that’s great! Shame about the cheating wanker in them though.